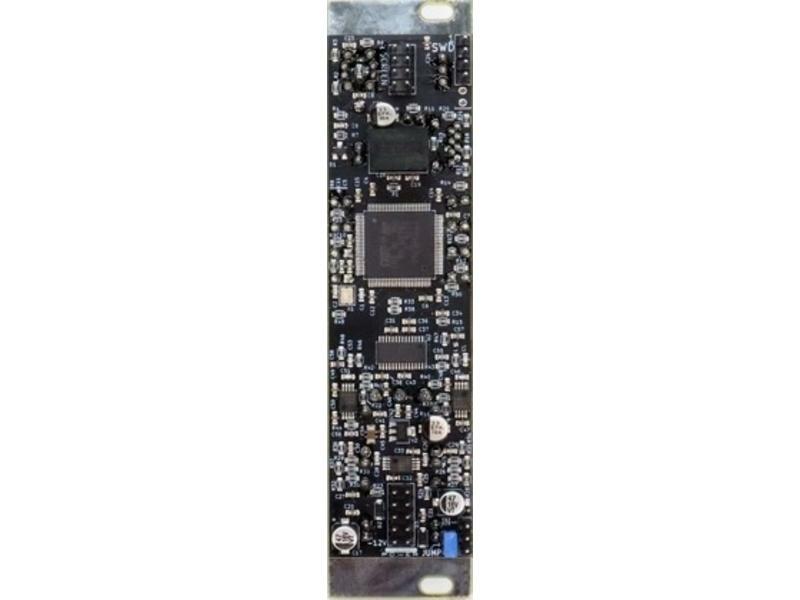 • Up to 96kHz, 24-bit stereo recording. 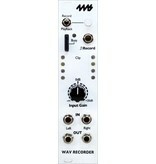 • Accepts modular signal level or line level. 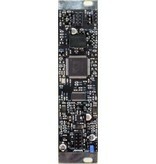 • Gain knob and LED level meter allows you easily boost or cut any signal, from synths to smart phones, without clipping. 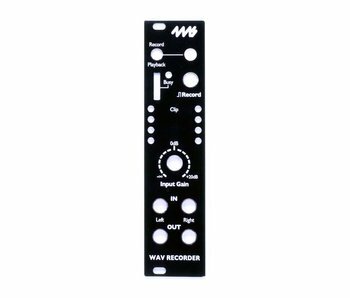 • Audio can be monitored without recording, so the WAV RECORDER can also be used as a pre-amp for boosting line-level signals to modular level. • Recording time and number of files are limited only by available space on card: Typical cards can hold hundreds of hours of samples. • Continuous Recording feature automatically breaks long recordings (>6 hours, typically) into multiple 4GB files. With a large SD Card (128GB), you can literally record continuously for 2 weeks without stopping! 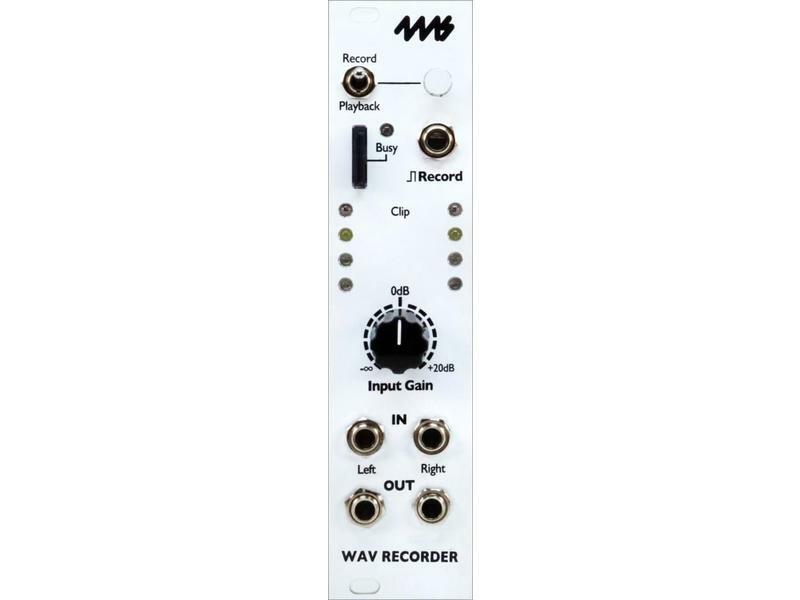 • Connects to the LISTEN modules for recording directly from the main output.